The DAMlab makerspace is a partnership between the College of Business and the College of Engineering at Oregon State University. 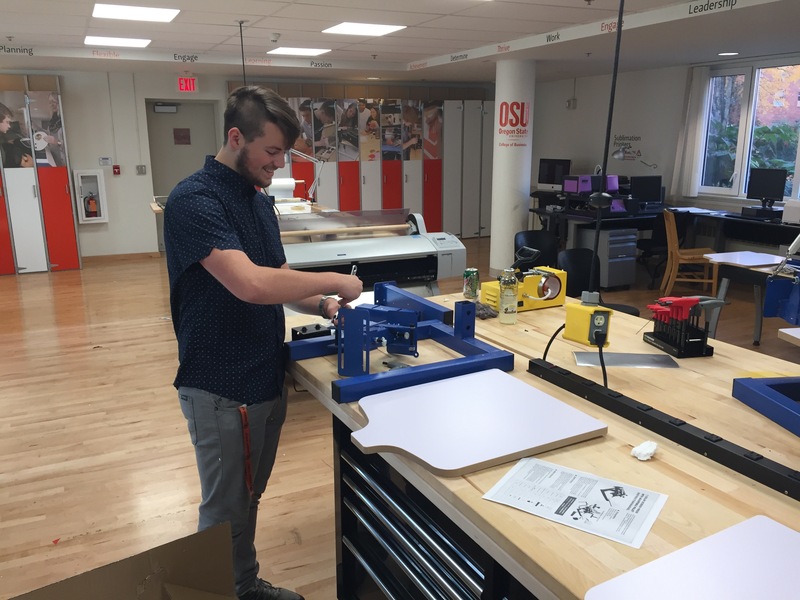 Located in Buxton Hall, the DAMlab gives OSU students hands-on experience with design and prototyping tools, while enabling them to realize their business ideas. The DAMlab provides access to a wide range of tools, enabling student innovation from design through manufacture. Students interested in the apparel industry can take advantage of several available methods, including embroidery, sublimation, and direct-to-garment printing. Other tools such as 3D printers, laser cutters, and CNC mills give students experience with a wide range of manufacturing methods. For tool guides click here! The DAMlab is staffed by student employees from 5:00-9:00 Monday-Friday. Student workers also work by appointment throughout the week. To submit a request or report a problem to the DAMlab staff, please use the Support Form.